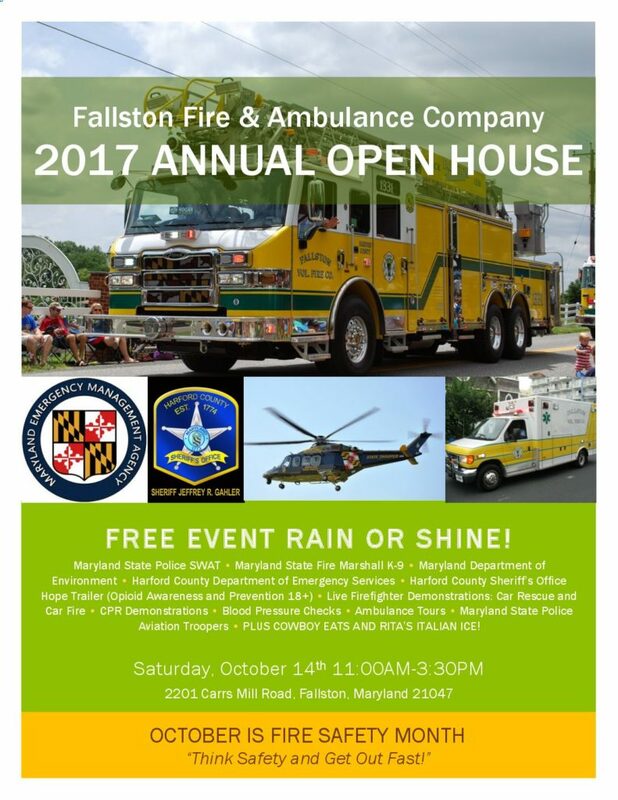 Fallston VFAC is holding our annual Public Safety Open House on October 14th from 11 A.M. until 3 P.M. We will have vendors, allied public safety agencies from around the region, fire-rescue-ems demonstrations and more!! Mark you calendar now and be sure to stop by our Carrs Mill Road station to be part of this educational and entertaining event! !